Looking to know what the best and worst medications for insomnia are? The answer is up to you! The idea that sleeping pills are a magic bullet that will cure insomnia is a myth. Yes, they will help you sleep, but until the underlying cause of your insomnia is discovered and treated, the insomnia itself will generally remain an issue. With that said, sleeping pills have come to the aid of countless individuals who need relief from both short term and chronic insomnia. So, which sleeping pills are the best? Which are the worst? The answer is subjective. All of them ins some sense will help you catch some sleep. But how one person is affected by a medication is different than how another will be affected in regards to sleep quality and side effects. 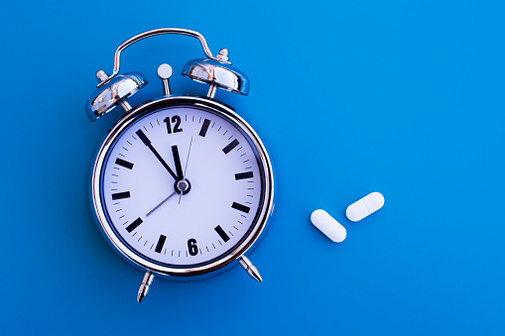 Here is the general rundown on sleeping pills and what you should know. Antihistamines are the go-to drug to treat allergies. It was soon discovered that they also help induce sleep. While some antihistamines are prescription strength, over the counter sleep aids that contain the chemical are readily available. The common ingredient in them is doxylamine and diphenhydramine. Over the counter antihistamines will never be as powerful of a sleep aid as prescription drugs. However, they can come to the aid of someone who is dealing with short term insomnia and bring much needed sleep. It should be noted that next day alertness may be diminished when using antihistamines. This first-generation chemical family of non-barbituate sleep aids includes Ativan, Valium, and Doral. These are also known as diazepam, lorazepam, and quazepam. This family of drugs was very popular and used often in the past. However, they are generally being bypassed now for the newer classes of drugs which are hitting the marketplace. Benzodiazepines are known to have an addictive quality. Not only is this class of medication addicting, tolerance for the drug can build up over time. They are also known to make a person feel drowsy and dizzy. The last decade of the 20th century is when non-benzodiazepines truly hit the scene and they were embraced. These medications include Sonata, Ambien, and Lunesta. These are also known as zaleplon, zolpidem, and eszopiclone. These drugs are a safer class of medication, they have less adverse side effects, and there is a lower risk of dependence and abuse. These medications are flying off of the pharmacy shelves today. While there is a lower risk of adverse side effects on this class of medication, there are still side effects that can arise. Be sure to discuss them with your doctor or pharmacist. Suvorexant, known by the name Belsomra, is a first-in-class drug that was released in 2014. This medication is different to other sleep aids and its side effects and effectiveness are still being monitored. Comparisons to it and other drugs such as Ambien and Lunesta are also still being done. Since it is a new drug, talk with your doctor or pharmacist at length so you can be brought up to speed on any new information that is uncovered about it.